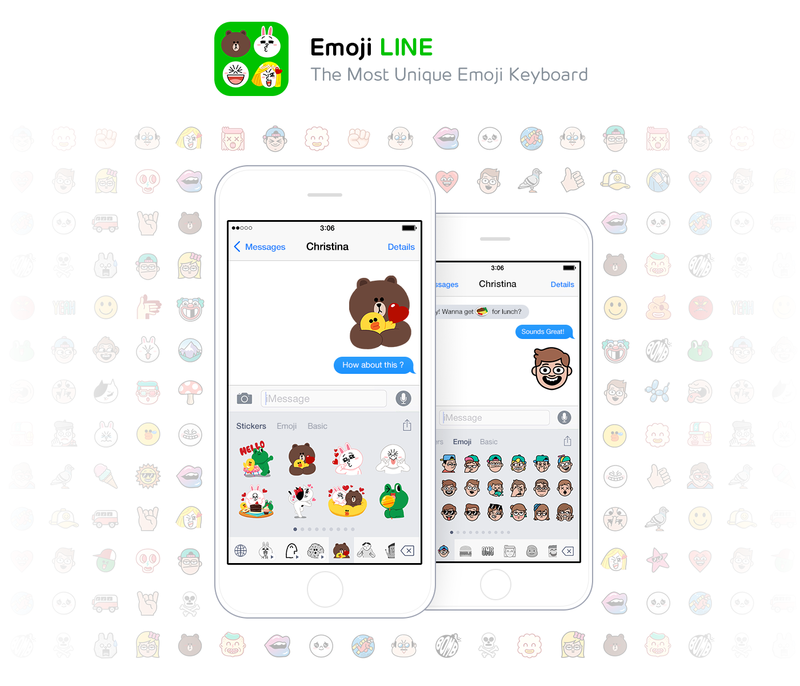 Tokyo, Japan – June 17, 2015 - LINE Corporation, owner and operator of the free messaging app LINE, announced today the official launch of Emoji LINE, a supplemental sticker and emoji keyboard app for iOS keyboard. Globally available on iOS except in Japan, Thailand, and Taiwan, Emoji LINE is a free keyboard app offering over 3,000 fresh content, comprised of over 2,000 LINE animated stickers, regular stickers, and emoji, previously only available on LINE messenger. Emoji line Users that download Emoji LINE are given instant access to over 2,000 LINE stickers, animated stickers, and emoji. Users can unlock and gain unlimited, free access to over 700 premium LINE stickers and emoji by downloading and signing up for the LINE app. This high quality full set enables more dynamic and lively digital communication with loved ones and friends, helping users express every emotion imaginable. Emoji LINE users will not only be able to utilize LINE stickers and emoji, but also gain a glimpse into the expansive LINE universe. The simplified version for iPhone brings the LINE experience to users, where they can meet original LINE characters Brown, Cony, Moon, and James in sticker and emoji form, while giving insight into five emoji artists’ work for LINE’s extensive Emoji Dictionary. The ever-growing LINE Emoji collection is the first of its kind and currently utilizes the different styles of eleven artists to translate and illustrate more than 6,000 objects, situations, feelings, reactions, activities, and places into engaging and emotive emoji for daily communication. With hundreds of new characters and unique expressions, Emoji LINE offers a look into LINE’s literal universe of stickers and emoji, which illustrate every emotion imaginable. As part of LINE’s global “LIFE Platform” strategy, in which the company aspires to become a platform for everyday life, Emoji LINE is a fun, easy-to-use family app with useful content which we hope will become an integral part of modern people’s lives. Product Details: 10 LINE sticker packages (4 animated + 6 regular sticker sets), 8 LINE emoji packages, and 5 basic Apple emoji sets. Total of 18 free LINE packages available. Users can unlock over 1,000 stickers & emoji by downloading LINE.